I know faux foliage is out, but some of us aren't all that talented in the garden. What are we supposed to do? 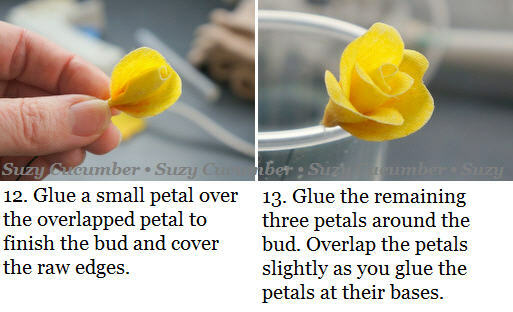 How about making our own flowers. No weeding or watering necessary. 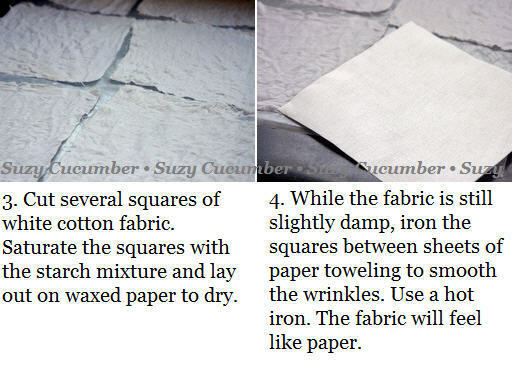 * Use a dry iron. 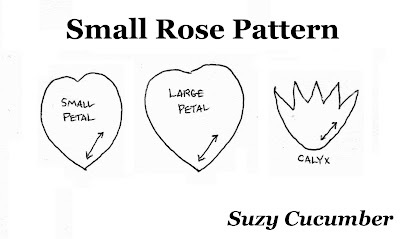 Pattern from The Art of Handmade Flowers by Miyuki and Tomoko Iida. Arrows represent fabric grain line. You can use any color of crayon in the box. The pale peach rose is neon crayon. 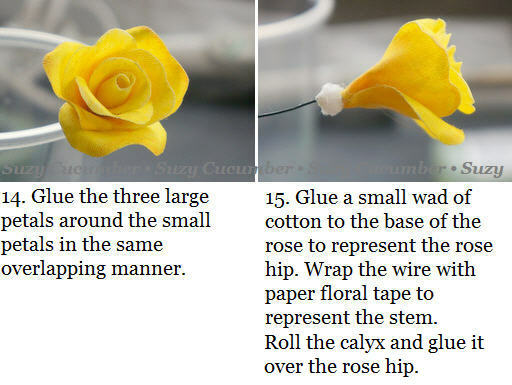 The pale yellow rose is watercolored. The red rose is red crayon. Use multiple colors to get blending. Color hard or color soft. You can't do this wrong. Ahh, I have a little bit of Spring now. The Texas Panhandle is notorious for its mercurial weather moods. With snow one day and 70º the next, no wonder the flowers stay sleeping. BTW, this really was fun once I figured out how to decypher 1970's craft instructions. They didn't believe in step–by–step or pictures on the same page as the instructions. These roses are so pretty! I'm a new follower. If you have a minute, please stop by my brand new blog. I'd love to have you follow me, too:) Thanks! First. this is sheer genius, sheer amazing genius! Second, that plate with the rabbits looks gorgeous! Thank you! 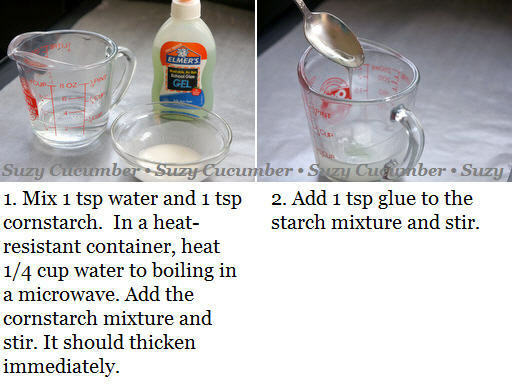 The homemade starch is like magic. 70's craft books do have redeeming value. Yes, show me how they turn out! Thanks for your comment. These are awesome - I'm your newest follower and would love to invite you to come by and link up at my "Get Inspired Monday" blog party, which is open for links now. You can link up to 3 posts if you are interested! Thanks, Pamela. Linking up now. I'd love to link up, Natasha! Thanks for asking me. Thanks, Hani. They're easy too, which is even better. Thanks, Michelle. I love your jewelry creativity. Love this idea. Beautiful. I'm your newest follower and would love if you could have a peak at mine. I love old craft books and after I get through my UFO's I should start on the books. Great idea! Hi Carla, aren't old craft books great? I'm impressed with your quilting talents. I have a few quilting books in my stash. I am so impressed with your talent, oh my goodness. What an amazing and beautiful job you did! I could never EVER do that, I know it. Michele, you absolutely can do this. It took me several tries using several techniques before I hit on what was easiest for me. Thanks for your nice comment. These roses are sunningly beautiful!! I cannot believe you made these, they look real! Excellent job, thanks for sharing the how-to!! Thanks, Heather. Your photos are beautiful! These are amazing. So beautiful! I would love to be on your link party list. My party – The Inspiration Board is up right now and I know my readers would love this. Hope to see you there. Thank you, Carolyn. I'd love to join in. What an excellent tutorial, Aimee! Thank you for the invite, Katie. Labor intensive but beautiful. Very beautiful! Actually, the first one is labor intensive. After that, they go very quickly. Cheers! Thank you, Natasha! I'm honored. This is stunning!!! 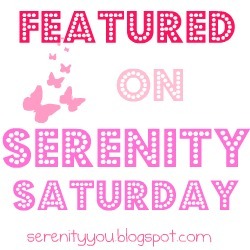 Stopping by from Serenity Saturday link party. Thanks, Coleen. I appreciate your nice comment. Beautiful. Saw it on Serenity You Saturday. Love the colors you've used. I'm a new follower. Pretty flowers! 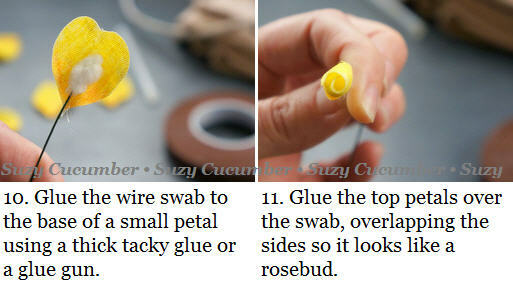 Your blog is so neat : ) I love all of the little (and big) projects you do. Your photographs and instructions are wonderful! 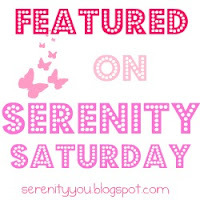 I featured you today at Craftastic Monday - stop by & grab a Featured On button. Thanks for linking! OH wow!! I just found you through your interview today over at Suzy's Sitcom. 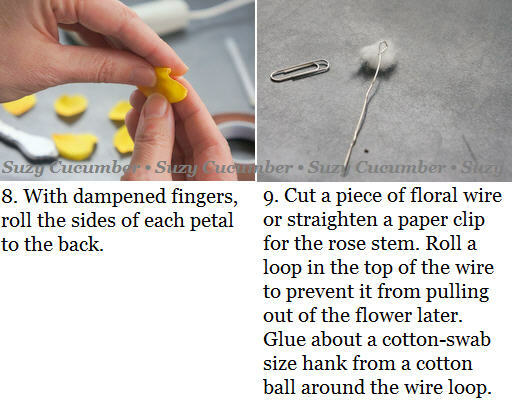 What a great idea to do different crafts each week! and I love these flowers so had to come and see how you did them! 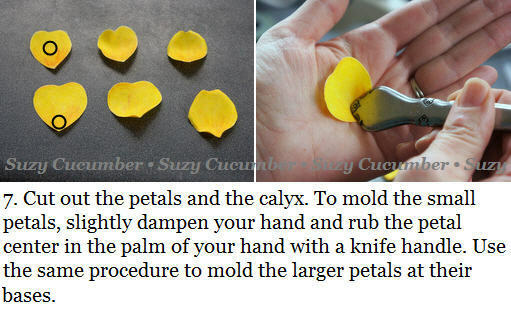 I'm going to pin them to try sometime! 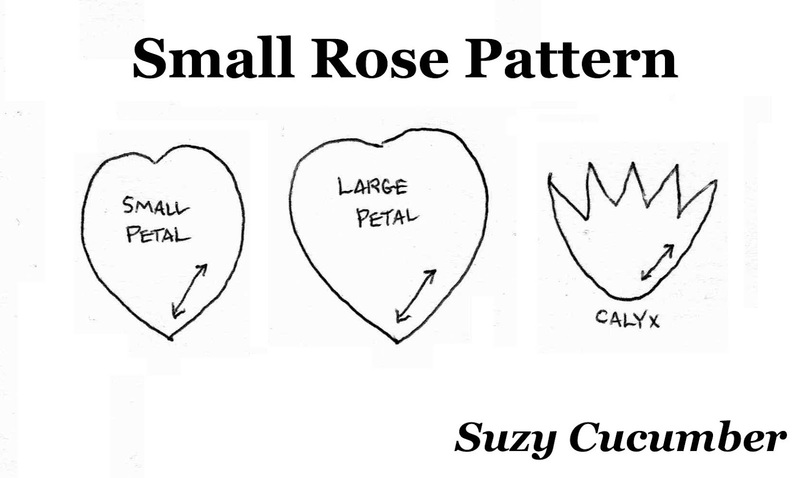 Your roses are absolutely incredible! What an original and exquisitely detailed technique! 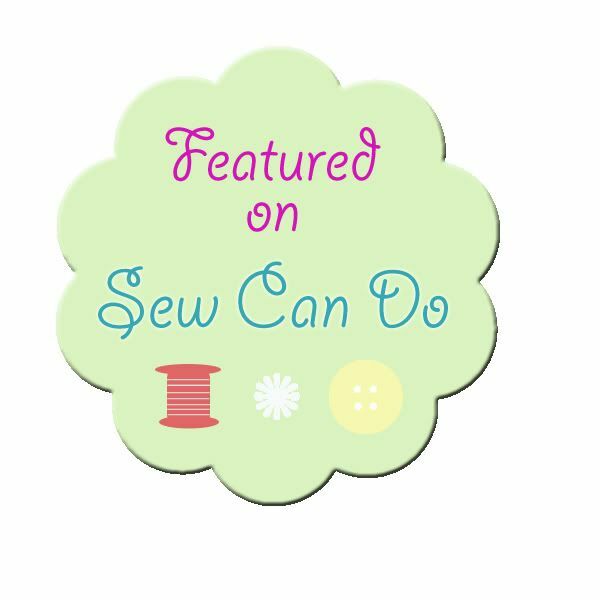 So glad I saw your post featured by Cheryl at Sew Can Do! Hi Bethany. 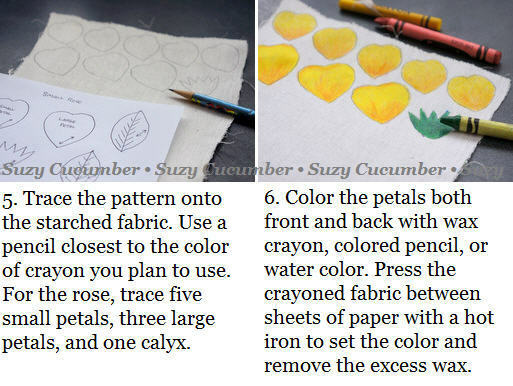 You definitely can use colored fabric. Patterned would be cool, too. Thanks! Craft Book Challenge Week 11: Uh Oh!